The 2XG Coleridge is a mortice and tenon door that boasts a large top aperture glazed with feature bevelled and gluechip glass with black caming allowing natural light to enter into your home and brighten up any room. 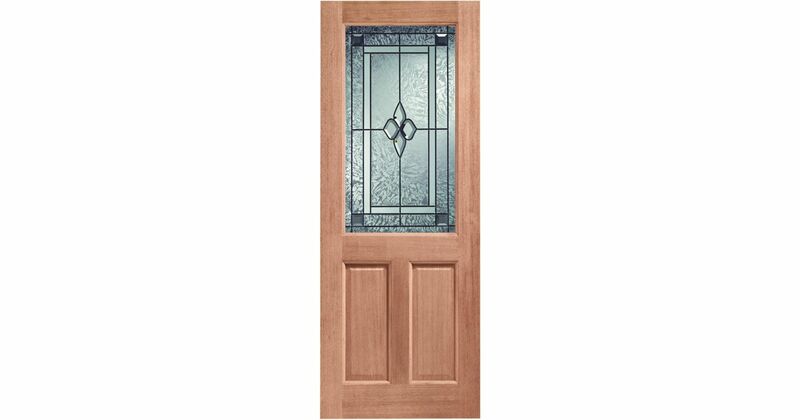 The Coleridge style glass is very striking and will create a truly impressive entrance way to any home. 2XG Hardwood M&T Doors are manufactured from engineered door components which can include MDF, particle-board and laminated timber. XL Hardwood Glazed Malton Door Codes - MTCOLE30DG - MTCOLE32DG - MTCOLE33DG - must be treated to XL Joinery instructions supplied.